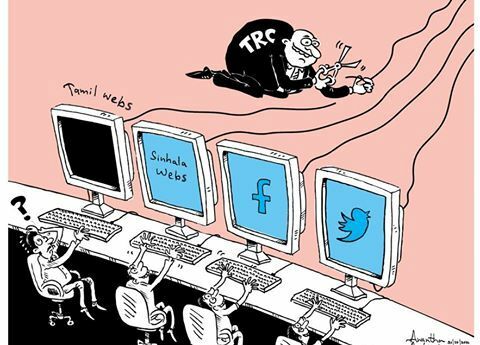 The Telecommunication Regulatory Commission (TRC) yesterday blocked a Tamil website following complaints from the Media Ministry and the Justice Ministry, TRC Director General Sunil Sirisena said. Mr. Sirisena said the complaint was that the website was carrying false propaganda about judicial decisions given in the north, criticising judges and lawyers and posting news inciting the public in the north. He said the particular website was using Sri Lanka Telecom as the service provider and the site had been blocked until investigations were completed by the Defence Ministry and the Media ministry. This is the first website to be blocked after the new government took over last year.